I want to make a rainbow color changing gif, where I can adjust the speed of the color changing and what color it changes to and etc. Let's say I want to keep the helmet with the same color too. And also, how would you attach something to an animation, lets say attach shoes on the animation, thats my second question. So like to make a gif with it. 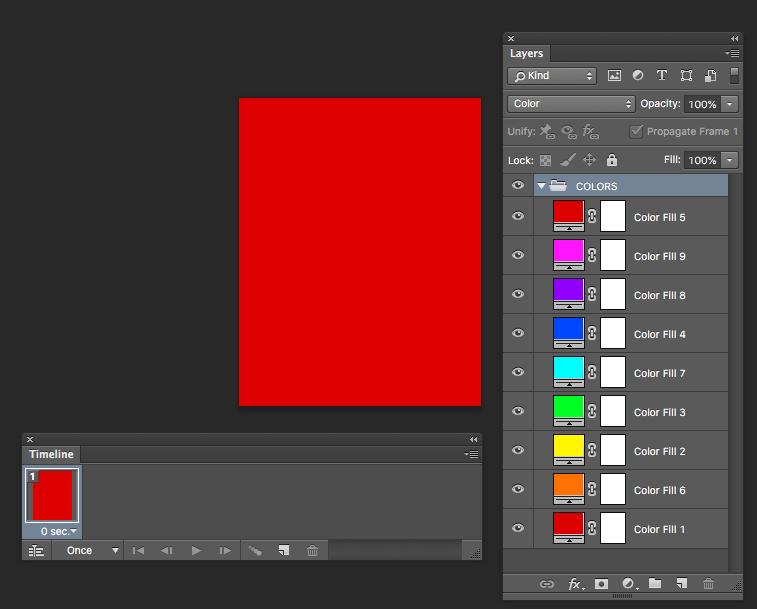 Basically my frame animations have a transparent background at the psd file, the one that I posted had a white background. when I do all the steps you've told me the GIF gets a rainbow color animation, but the background will also have the rainbow color which I don't want, I just want the blue walking thing as a rainbow color changing thing and not the whole background. 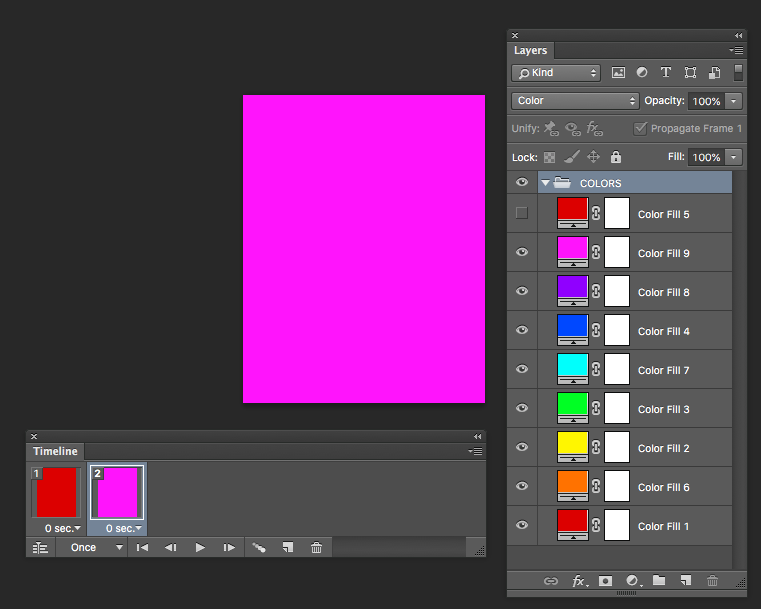 Removing the white background, I don't think that will solve my problem then. For the rainbow animation, your file has 47 frames. Create a New Document, same size as you animation. 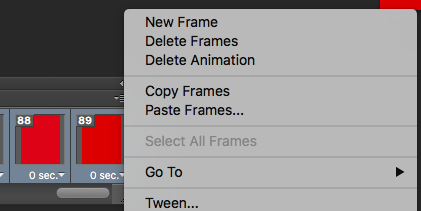 Timeline Panel: select both frames and click the Tween Icon > Frames to add = 5 to get the first part of the rainbow animation from nine total parts. 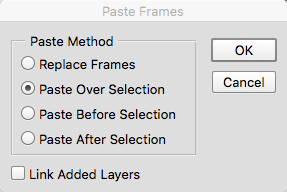 For the next rainbow parts: select the last Frame, add a new Frame, hide the top visible layer and selecting the last two Frames, apply Tween with the same parameters. For keeping the helmet at the same color, make a mask to each frame, sorry, no automatic way. 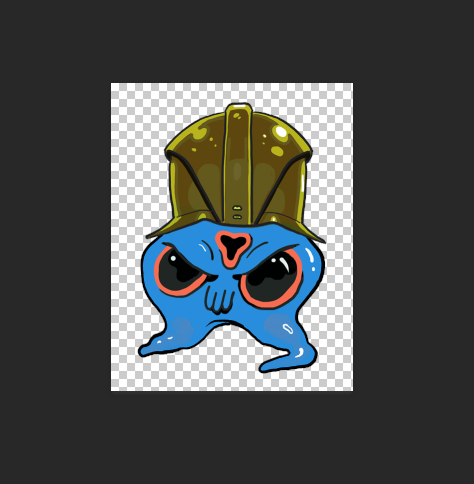 The best option is having the same animation but just with the helmet and transparent background, must be the same size, the helmet and the file, copying all the frames and pasting over this rainbow animation. Same with the shoes. A GIF file doesn't support interactions. 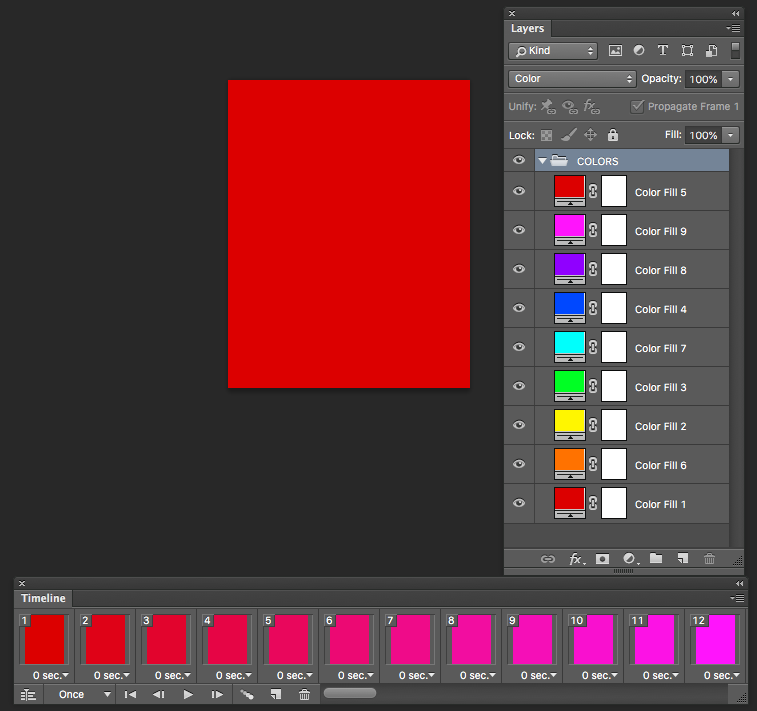 For color changing you must decide what's the layers color when you make the animation. The time for each color, changing the Frame Delay Time. If you need interaction an animated GIF is not the right decision. Not the answer you're looking for? Browse other questions tagged adobe-photoshop color animation gif effects or ask your own question. Photoshop: How to change / remove background color with shadow?